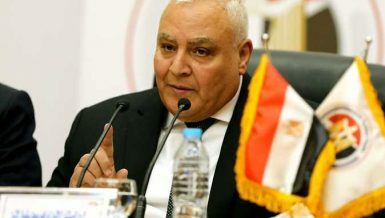 Interim Prime Minister Hazem El-Beblawi said the Egyptian “people are the guarantor of their freedom,” responding to a British parliamentarians’ fears on freedom of expression in Egypt, in a meeting with a delegation of parliamentarians, on Saturday evening. The delegation, which arrived on Saturday, also with met interim President Adly Mansour and interim Foreign Minister Nabil Fahmy to discuss both internal and regional developments. It includes members of both upper and lower houses of parliament and is scheduled to hold talks with Pope Tawadros II on Sunday. El-Beblawi discussed challenges that Egypt faces, including “fighting terrorism and extremism”, a statement posted by the cabinet said. The prime minister said that the media – particularly the foreign media – tends to focus too much on arrests during protests, while largely ignoring “terrorist incidents,” such as the targeting of soldiers in Sinai and nationwide bombings. 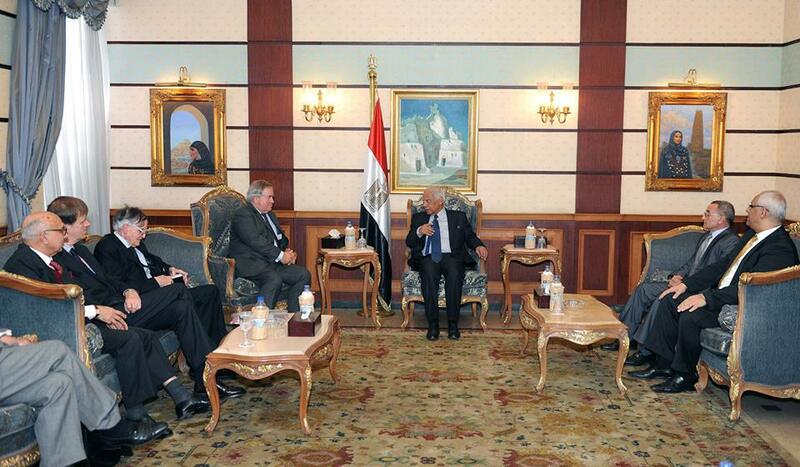 Mansour received the parliamentarians after El-Beblawi’s meeting. He expressed surprise at reports of a return of military rule, presidential spokesman Ihab Badawi was cited by state-run Al-Ahram as saying. Mansour said he does not know if these reports are a result of ignorance of the facts or deliberate attempts to cover up the facts. He added that the state is being run by a civilian government. El-Beblawi also addressed the government’s economic programme, saying that positive steps include the improvement in Egypt’s credit rating and the strong performance at the stock exchange. Fitch Ratings agency also upgraded Egypt’s economic outlook from negative to stable on 3 January for the first time since 2011. The delegation met with Fahmy on Saturday morning, discussing regional issues, in a meeting attended by British Ambassador to Egypt James Watt. They discussed Egypt’s border security with Libya and all efforts being made to end the smuggling of weapons across the border, according to Foreign Ministry spokesman Badr Abdelatty. He added that they discussed the developments in Syria, the dangers of dividing Syria and the importance of the recently held Geneva II conference in reaching a political solution to the crisis. The two sides also discussed the ongoing negotiations between the Palestinians and Israelis who agreed to come to the negotiation table in July, following US diplomatic efforts. Fahmy stressed the importance of achieving security and stability in the Middle East.